His new found fame led him to record a single called “You Got no fans” which reached number 5 in the UK Christmas charts and regular nightclub appearances across the UK. Hill has pledged all the proceeds from his single to Great Ormonde Street Children’s Hospital and the youth team of his beloved Wealdstone. 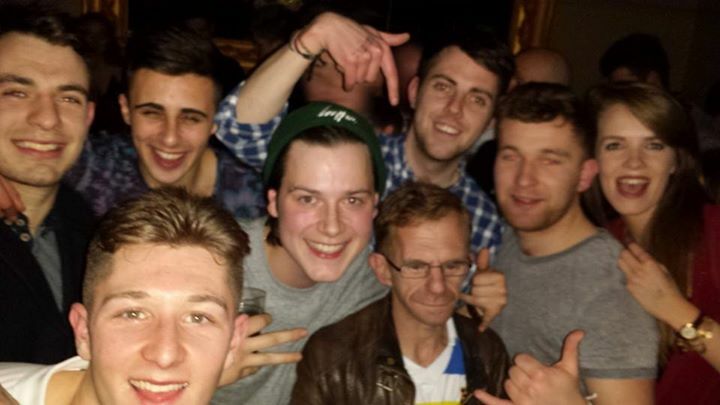 So by all accounts the Wealdstone Raider’s appearance at the Lost Society was a great success. It certainly made the night for these three students and many more who came out to see him and who knows maybe we’ll see him back again before long.